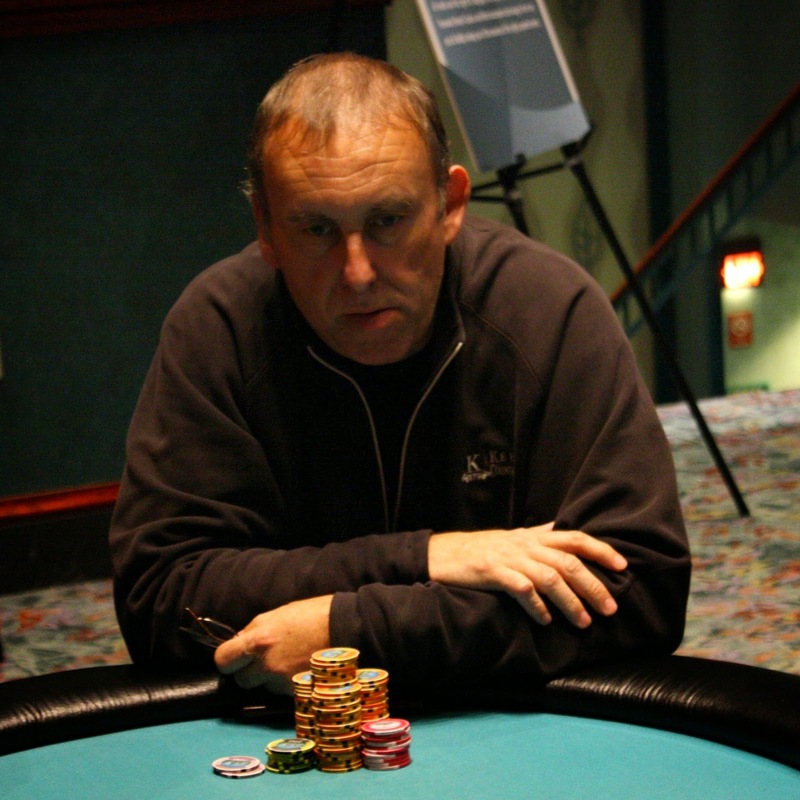 With the elimination of our 28th place finisher, Event #12 $1,650 NLH is down to the final 3 tables. 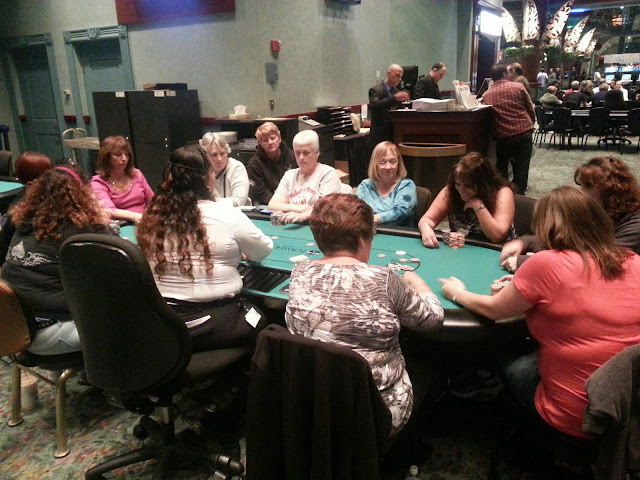 The final table has been reached in Event #11 $300 NLH Ladies. The field has been narrowed to the final 36 players, so the tournament staff are breaking a table and players are filling in the empty seats. 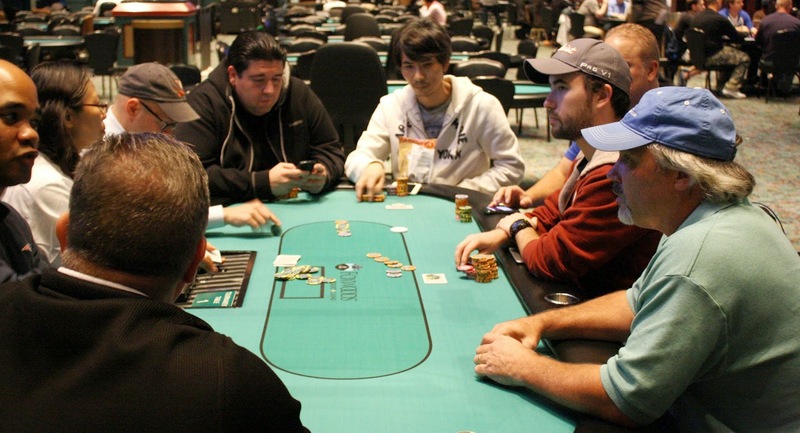 There are now four remaining tables in play. Blinds have also just been increased to 800/1,600 with a 200 ante. On a [7d][4c][9s][5d] board, Je Wook Oh moved all in and his opponent tanked for over a minute. He eventually made the call, and showed [8s][6c] for the nuts, raising the eyebrows of tablemate Nick Palma. Je Wook turned over pocket queens and was drawing dead, and the [Qs] hit the river just for spite. 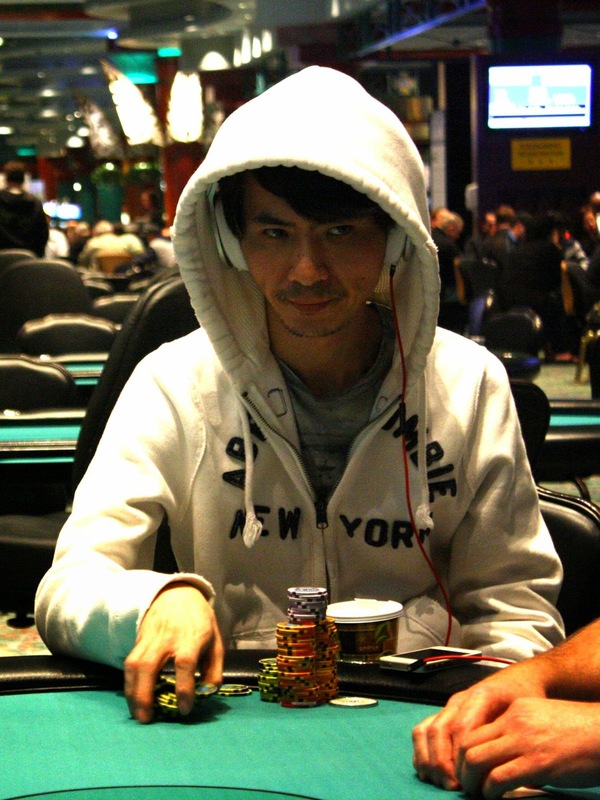 The dealer counted the stacks down and it was determined that Je Wook was slightly outchipped, and he will be eliminated. For the next few hands, the table discussed the tank with the nuts, and Je Wook's opponent explained he wanted to make sure he didn't misread his hand as he was tired. "In the morning, I would have snap called." There are 13 players left in Event #12 $300 NLH Ladies and they are now hand for hand as they approach the money bubble. The ladies are all smiles as it appears they made a deal to pay the bubble. They will play down to a winner tonight. The field has been trimmed to 48 players from the original 119 entrants, and they are now on a 10 minute break. Blinds will be 600/1,200 when players return. 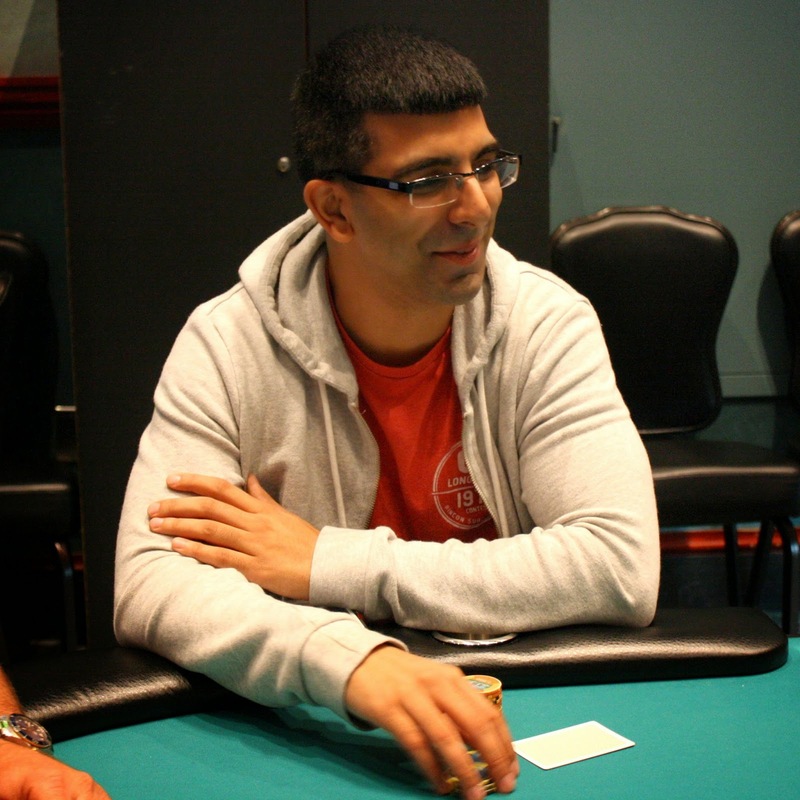 Still in the hunt are many notables, including Nick Palma, Tarun G., Mike Nye, Tom Dobrilovic, and Je Wook Oh. Cards are back in the air in Event #12 $1,650 NLH. 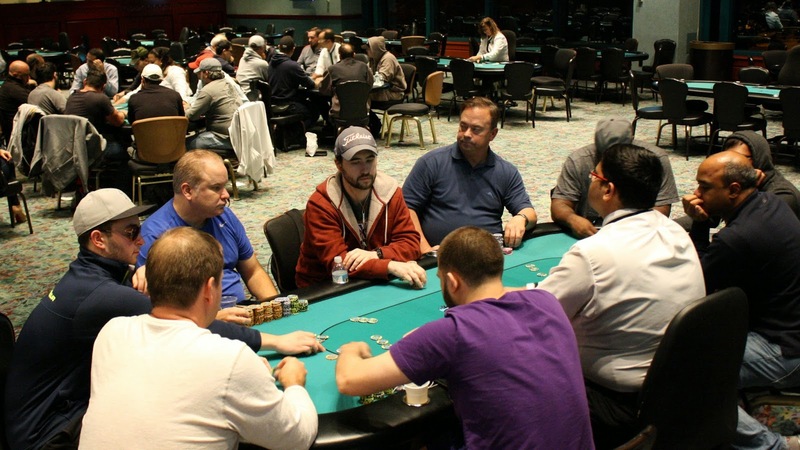 Levels will now last 50 minutes for the duration of the tournament, and the field will play 6 more levels today before bagging up for the night. 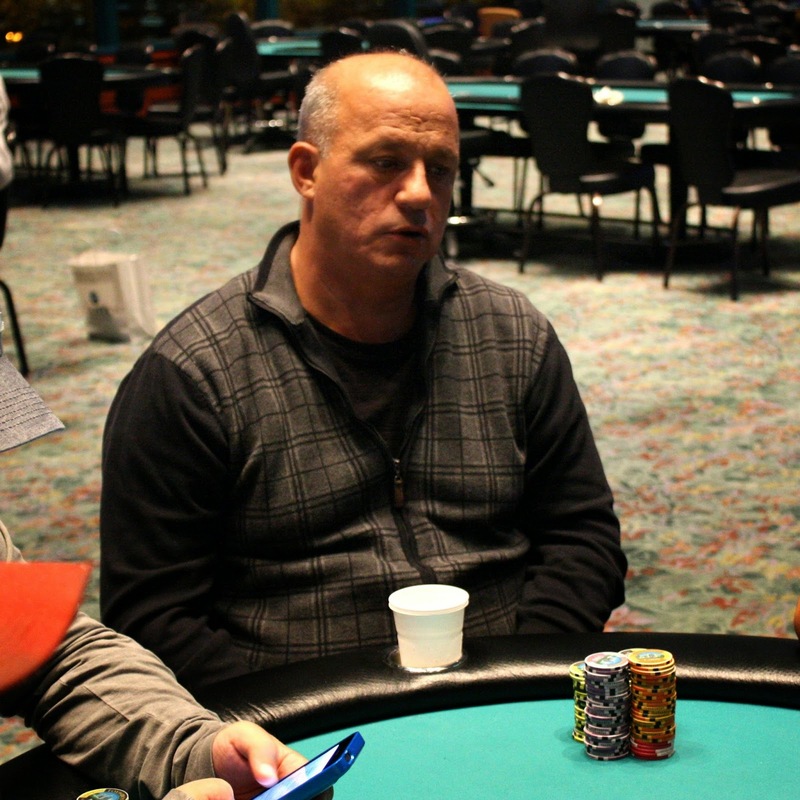 You can watch our live feature table with Tom Dobrilovic in the 2 seat, Je Wook Oh in the 3 seat, and Mike Nye in the 6 seat at www.FoxwoodsLive.com. 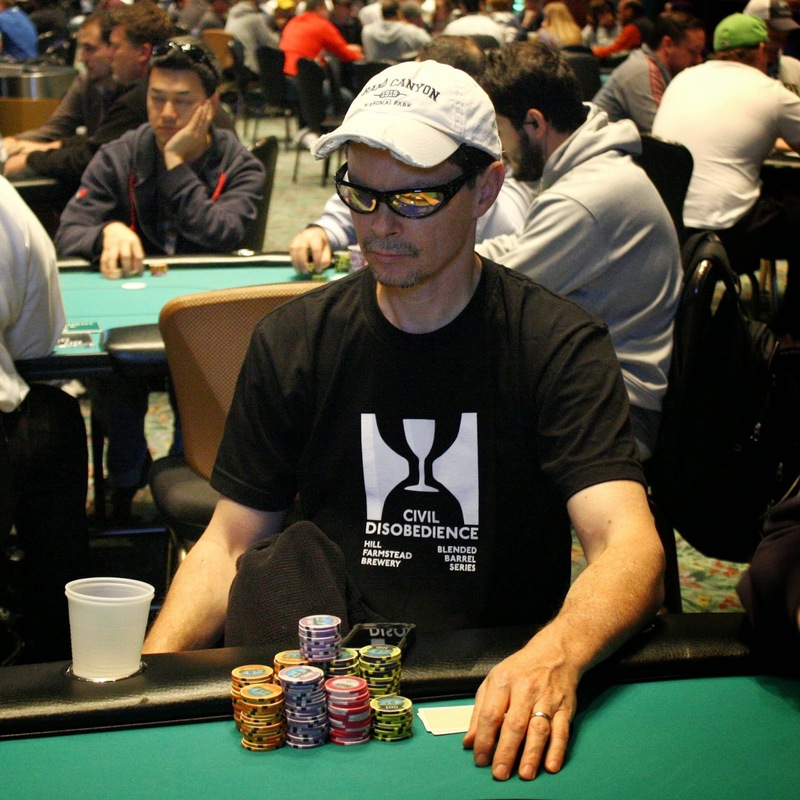 The 64 remaining players are now on their one hour dinner break. Play will resume at approximately 7:30pm EST when the blinds will be 400/800 with a 100 ante. 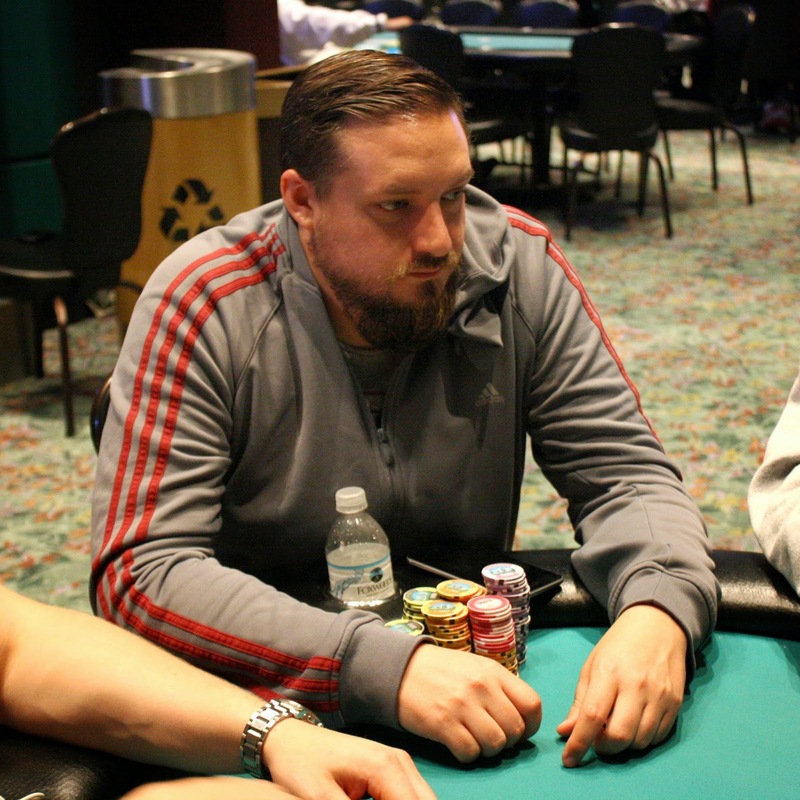 71 players remain from a total of 99 entrants in Event #12 $1,650 NLH, and they are now on their second break of the day. Registration is still open until the end of the next break. 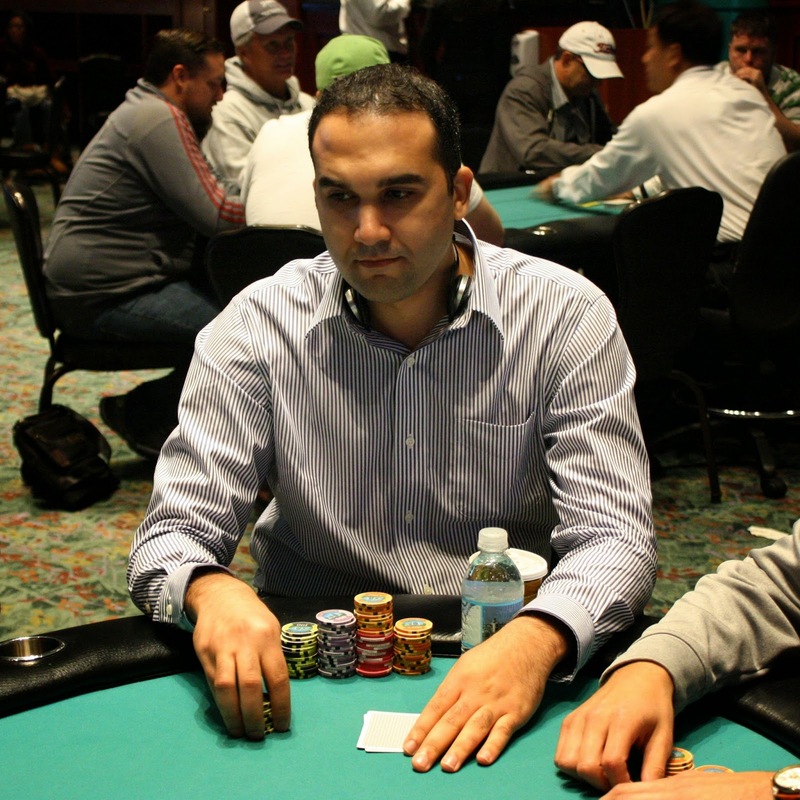 When the field returns, blinds will be 200/400 with a 50 ante. Cards will be in the air for Event #12 $1,650 NLH. 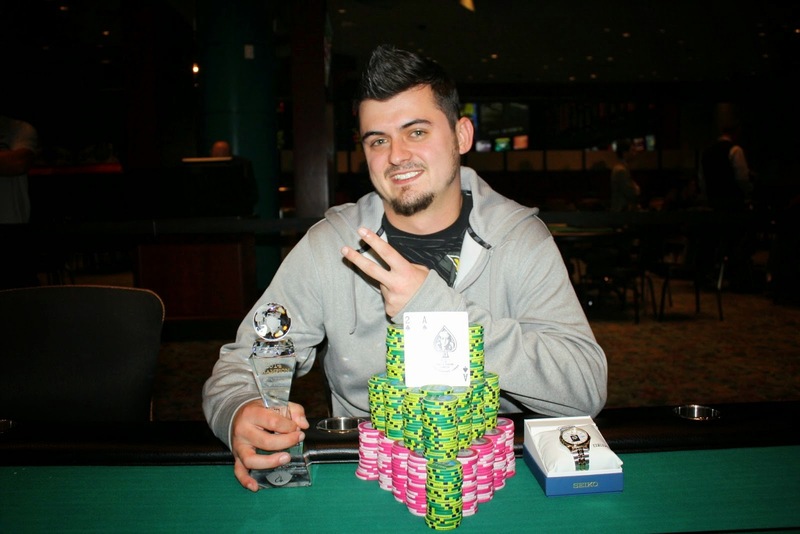 This tournament has a $150,000 Guarantee and features 25,000 in starting chips. The first nine levels will be 40 minute levels, and then after they will be 50 minute levels for the rest of the tournament. A full structure is available here. 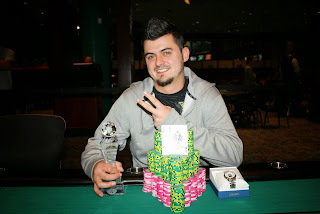 You can watch the feature table by going to www.FoxwoodsLive.com. Cards are in the air in Event #11 $300 NLH Ladies. 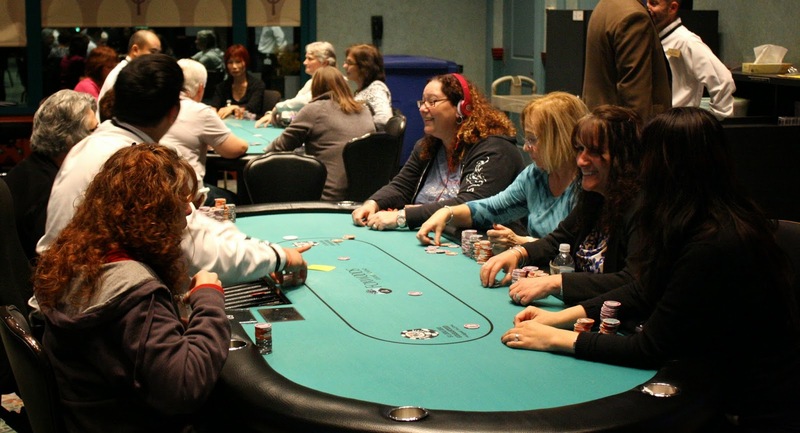 This tournament features 15,000 in starting chips and 30 minute blinds. A full structure is available here. At 12pm, cards will be in the air for Event #12 $1,650 NLH. This tournament has a $150,000 Guarantee and features 25,000 in starting chips. The first nine levels will be 40 minute levels, and then after they will be 50 minute levels for the rest of the tournament. A full structure is available here.